Party Plus Planning | Baby showers, bridal showers, theme parties, and more. Baby showers, bridal showers, theme parties, and more. Just because Thanksgiving is over, does not mean the delicious meals have to stop! Leftovers are great around the holidays, but why not try something new? We found this roasted potato dish that we think will be a hit at your next get together! You can even pair them with some leftovers from last week! Peel potatoes and slices them making sure to cut all the way through. Rinse and place into a bowl with a mixture of garlic, rosemary, and oil. Make sure they are coated evenly. Arrange in an 8 inch baking dish, pouring the hot vegetable stock over the top and microwave for 10 minutes. Roast for 45 minutes to an hour or until potatoes are golden brown. Baked good are a go to when it comes to the holidays, but how do you distribute them to your friends, family, and co-workers? 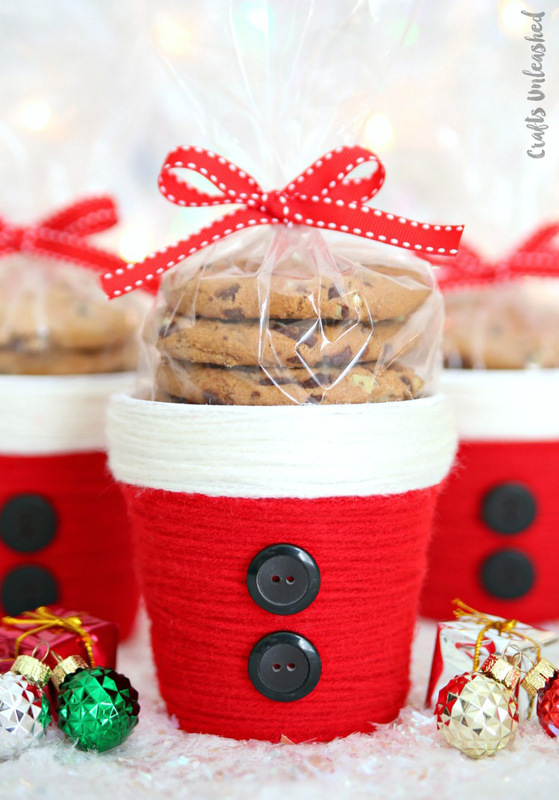 This DIY project is adorable, an additional gift in itself and not too expensive to put together. Instructions and idea found via Kara at Crafts Unlimited. We truly love what you came up with and would love to see other interpretations like a penguin or snowman! Place glue around the bottom of your flower pot and start to wrap the red yarn around it. Do about three layers. Do the same to the top lip of the flower pot, but with white instead of red. When it dries glue two of the black buttons or three onto the main base to look like Santa’s coat. Now you can add a plastic wrapped bag of goodies, plant, or any other holiday goodies! How much do you know about the star of our Thanksgiving Dinners? Below are 25 facts that you can use to create a tradition this Holiday in the form of a trivia game! See who can answer the most questions correctly, and they can have the one odd ball roll that is left over or first slice of pie afterwards. Let us know how many you got correct. True or False: Hens gobble. False, only Toms do. A turkey has a pretty loud gobble, what is the furthest distance it can be heard? A mile away. can turkeys fly? Trick questions! 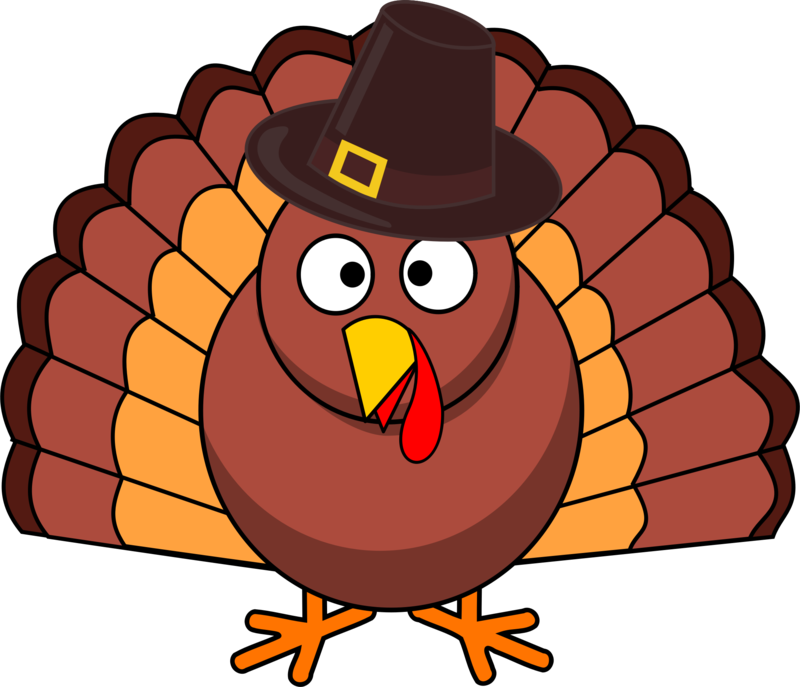 Commercially raised turkeys cannot, and wild turkeys can. There are a couple different scents we associate with fall; Apple, Pumpkin, and Cinnamon. If you go into Bath & Body Works there are definitely more than that, but it is easier to create these scents on your own in your home then trying to recreate “Flannel”. Not only will the smell fill up your home, but it is an adorable craft anyone in the family can make to add to the atmosphere of the season. They also make great handmade gifts for friends and family. All you need is Cinnamon Sticks, Twine/Ribbon, Rubber Bands, and different sized Pillar candles. Place the rubber band halfway around your candle. 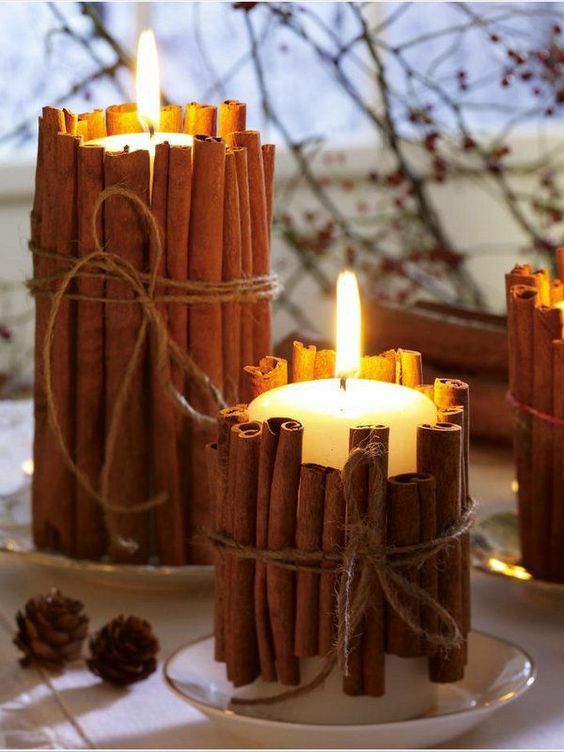 Vary the height in the cinnamon sticks are you place them around the candle under the rubber band. Once you are finished, wrap ribbon and twine around the center to hide the rubber band. Create your own centerpiece with pine cone accents or berries! Shout out to Mommy Octopus for this recipe and presentation! 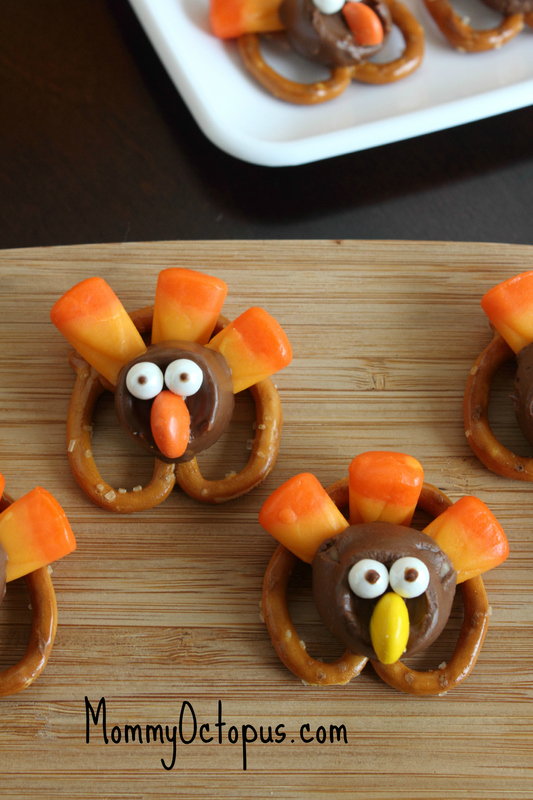 What a cute and adorable little snack for Thanksgiving. At our house we always have little snacks through out the day so we do not sit down on empty stomachs, but not so heavy we cannot enjoy the main meal of the day. These would be perfect to put on a decorative plate during that time! All you need to put these little guys together are Rolo’s, Mini Pretzels, Candy Corn, Sugar Pearls, and M&Ms. You can click on the link below to check out the original blog post if you are looking for step by step instructions. If you do make them, we would love to see a picture! We love different and unique table presentations! 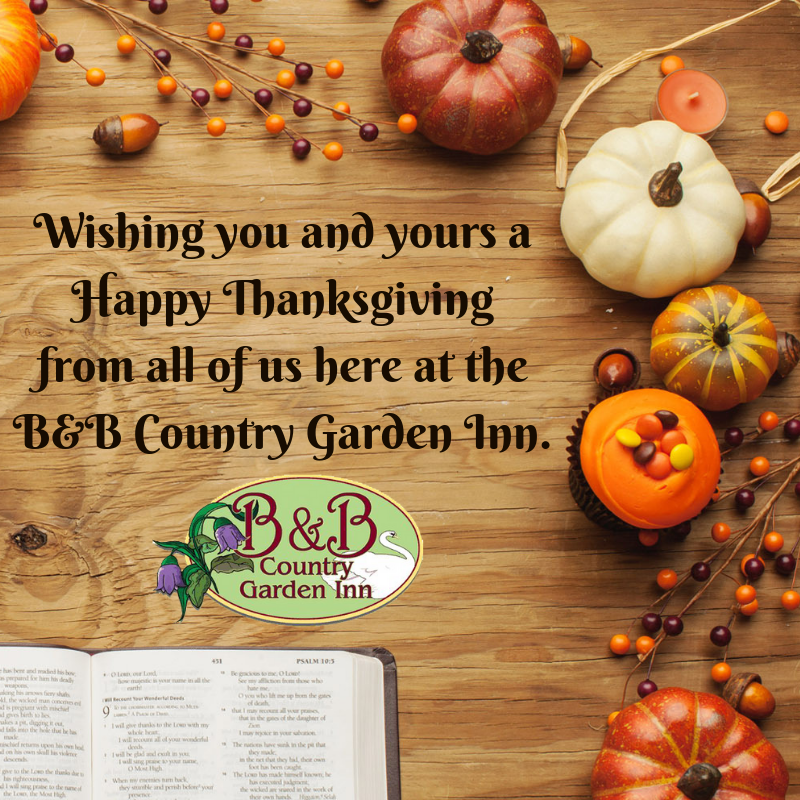 Most families will set the table up ahead of time and have it looking beautiful through out the day until it is Turkey Time. The best part about this little tutorial is that you do not need to have Orange napkins to make this work, you can use any other color and it still looks gorgeous. 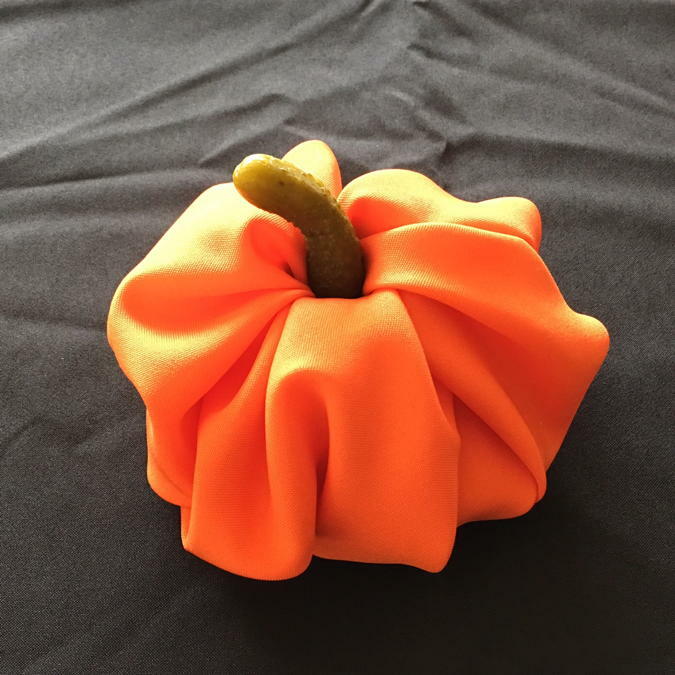 All you need is Dinner Napkins, Napkin Rings, and a Pickle (or a paper green stem made from cardboard. Place the Napkin Ring in the dead center of the napkin. Pull the napkins partially up through the ring and flip it over. Fluff the folds to make them more evenly distributed. Flip back over and start to tuck the four corners into the napkin ring. Flip back over one more time and place your stem in the center. Simple. Sweet. Done. You will have a cute little pumpkin to place on your plates while the food is cooking and make for a pretty adorable picture opportunity. How do you decorate the table for Thanksgiving?